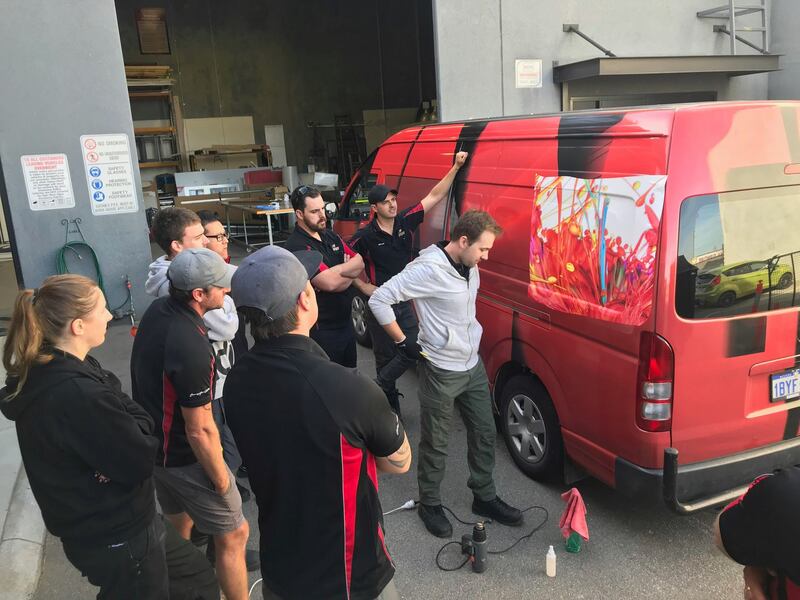 We took time out on Monday morning and with the help of Spandex WA & Jonathan at Quantico Installations we conducted a vehicle wrap training course with both our designers and wrappers getting amongst it. 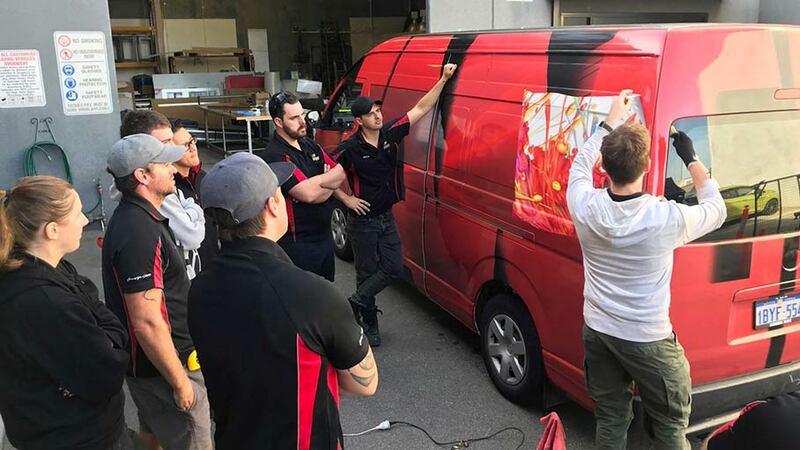 As an Avery Dennison & 3M accredited installer, we were learning from the best of the best. A great opportunity to to spend a few hours and ensure our skills are up to scratch, and learn new techniques along the way.